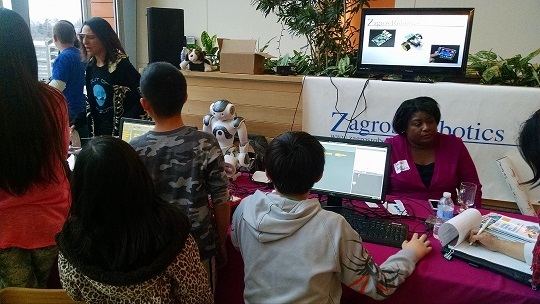 Zagros Robotics provided several Raspberry Pi demonstration stations at the St. Louis Raspberry Pi Jam on Saturday, January 31, 2015. 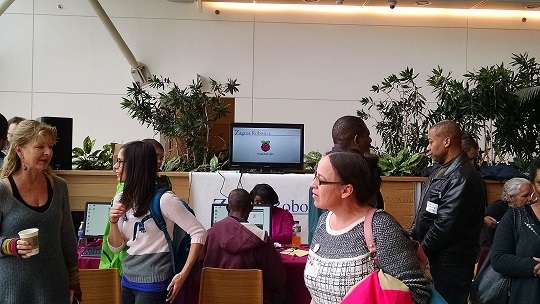 More than 300 people attended the event which included a large variety of demonstrations, facility tours and Raspberry Pi treats. We set up several Raspberry Pi stations for kids and adults could play games written in Python and write their own programs in Scratch. We also had a few different robots including several line followers. 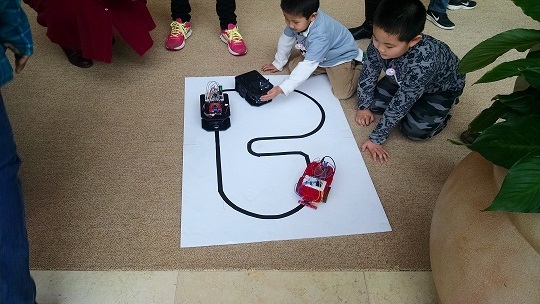 Members of the local St. Louis robotics club also showed off some of their robotic creations including a remote controlled industrial vacuum cleaner and a NAO. 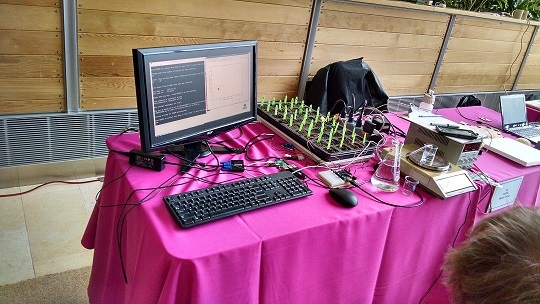 The Danforth Center uses the Raspberry Pi for real work. It turns out that the Raspberry Pi is great at collecting data for various experiements. Everyone had a great time and we look forward to next year. Hopefully we will see you there.